The café culture is on the rise in Indonesia, especially because of the younger generations, who categorize cafés not only as a place to relax and mingle but also to do other activities that are more formal and productive, such a studying, working or having a professional meeting. Coffee is consequently a popular drink these days. 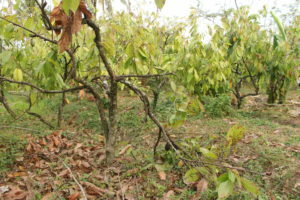 The availability of good quality chocolate drinks, on the other hand, remains scarce. 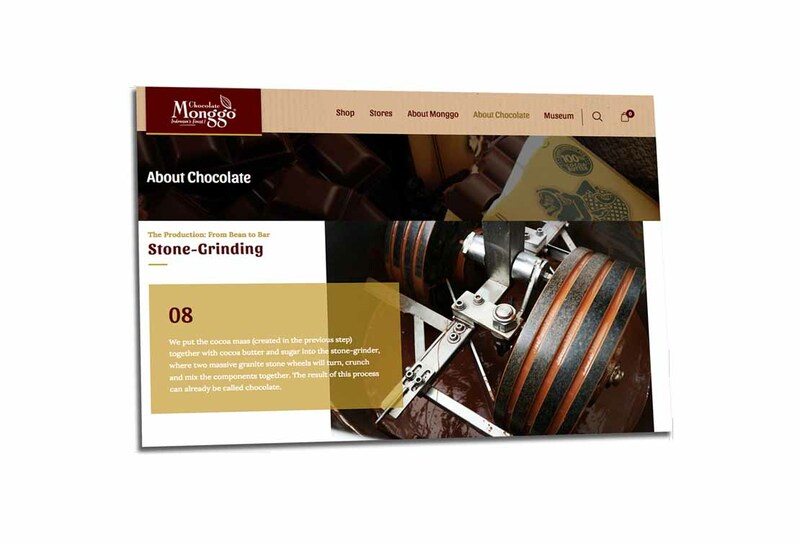 At Monggo, we’ve created various chocolate drinks with a similar quality as our regular products. 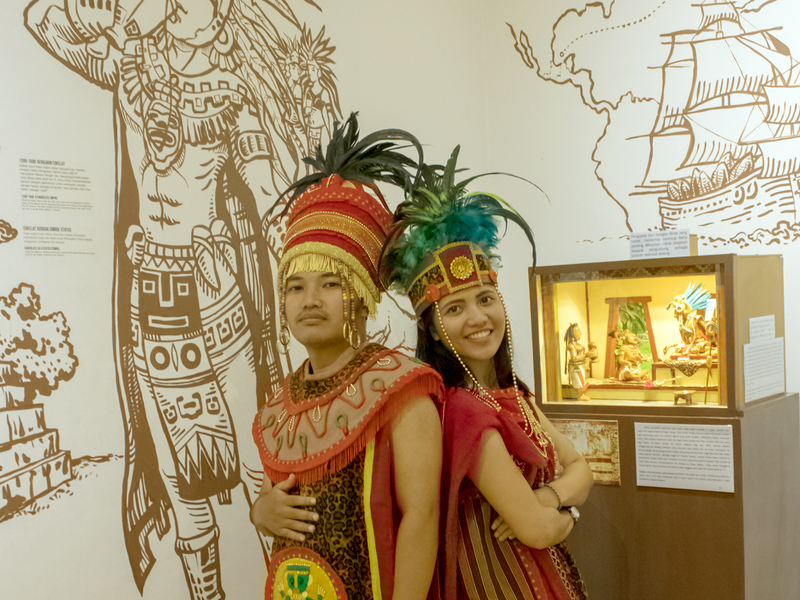 You will find the Chocolate Drinks at our Kedai Cokelat that is located at our Chocolate Museum and Factory in Bangunjiwo. 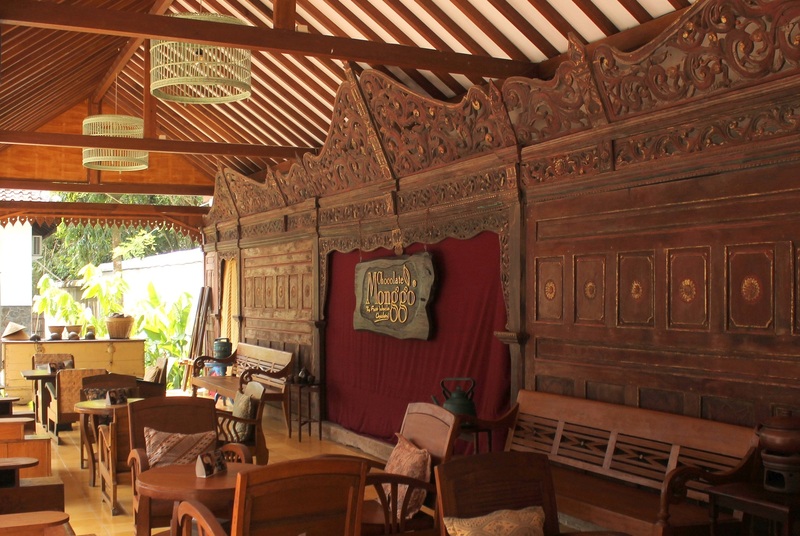 With an open and connected Javanese-style, slightly modern but with iconic Javanese features such as the Joglo itself (open Javanese building, resting on wooden columns), or the Gebiok (Javanese wood carved walls) that surround it, the Kedai is such a place to spend time at. The focus though lies on our authentic chocolate beverages. 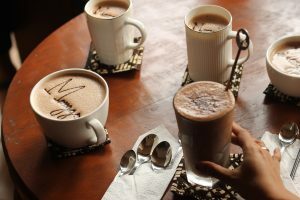 Various cold and hot chocolate drinks with different percentages are available, reaching from Milk, Dark Chocolate with 58% of Cocoa and Dark Chocolate with 69% of Cocoa until Dark Chocolate with 77% of Cocoa. 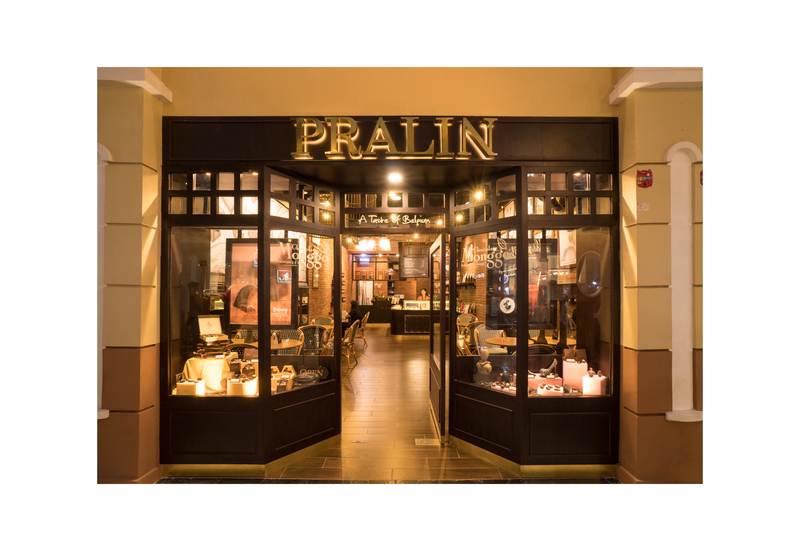 The beverages are prepared only from real chocolate and Milk, but without adding any additional sugar. 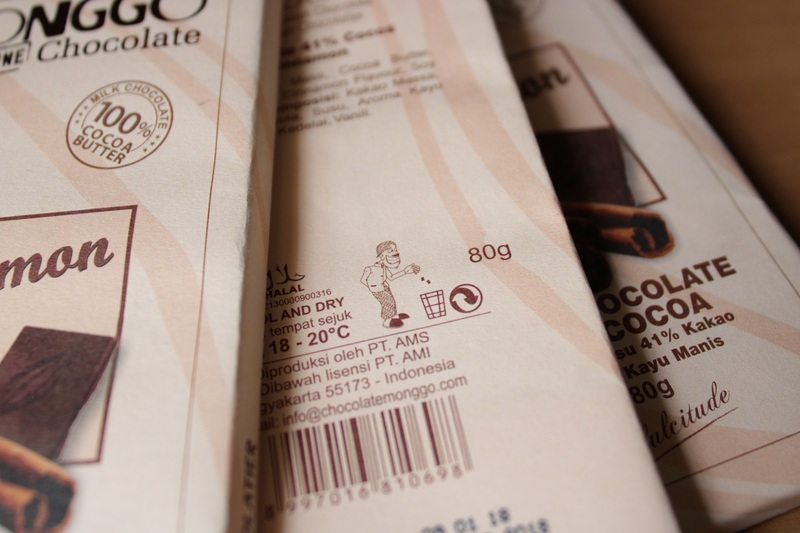 We’re often asked why Monggo doesn’t offer cocoa powder that allows to prepare a chocolate drink. 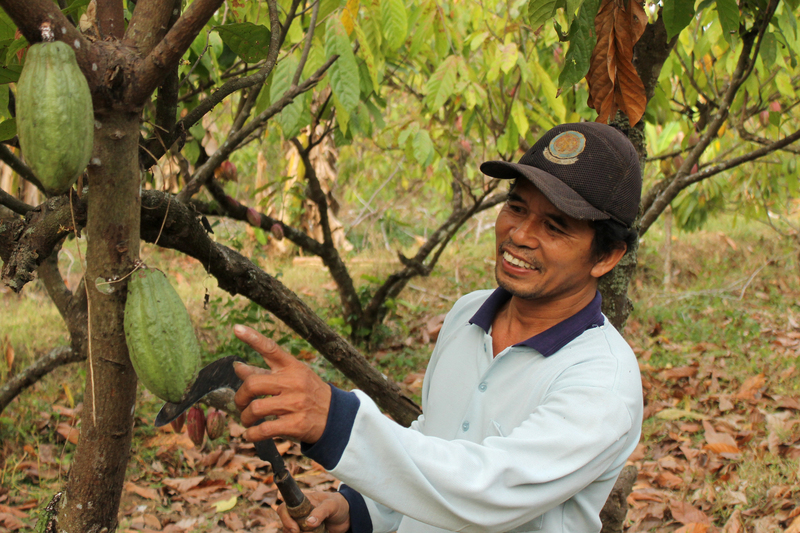 But for us, chocolate is not just made from cocoa powder. 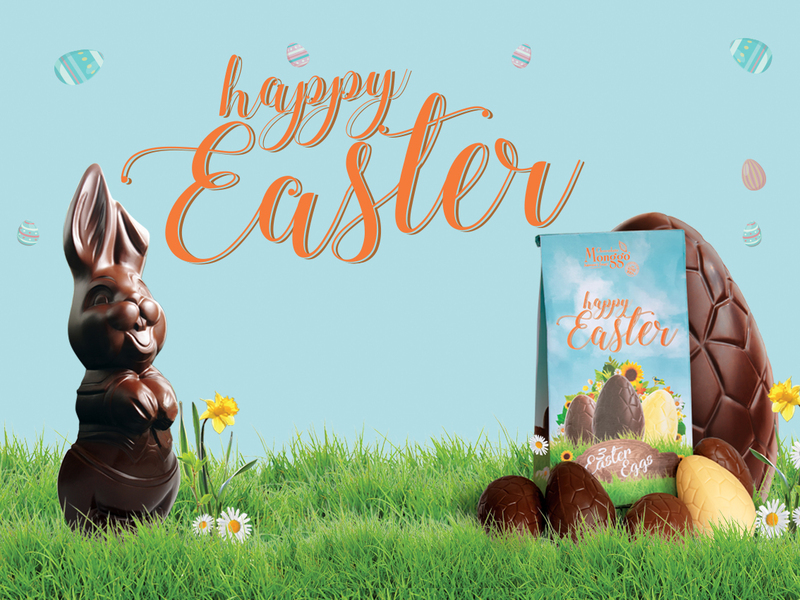 Real chocolate has to be made of cocoa mass and cocoa butter, the cocoa beans pure components that not only deliver taste and mouth-feel but also most of cocoa’s nutrition. 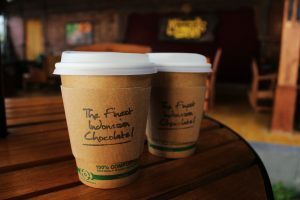 At the Kedai Cokelat, we only serve these real and authentic chocolate beverages. Once tried, you’ll realize that a chocolate drink can be much more than just sweet. 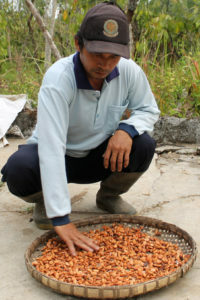 You’ll notice the unique aroma of the cocoa and how it becomes stronger and slightly more bitter, according to the percentage you chose for. 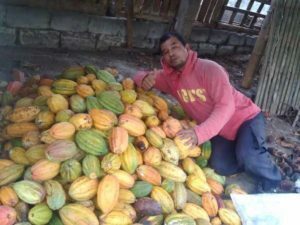 Beside those unique beverages and regular drinks, there is a mixture of coffee and our chocolate, which we call “Choco Moko”. 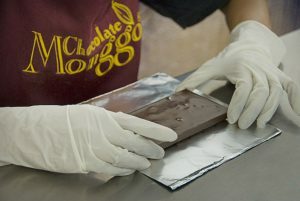 The Kedai also offers unique snacks, made with the expertise of Monggo’s Belgian Chocolatier. 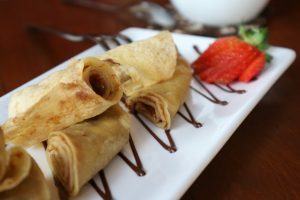 Enjoy so-called “Galettes”, which are flat, French-style pancakes, with different fillings such as Salty Caramel, Hazelnut and Brown Sugar. We try to run the Kedai as eco-friendly as possible and therefore serve our drinks with paper straws, paper cups, paper box for take-away snacks. 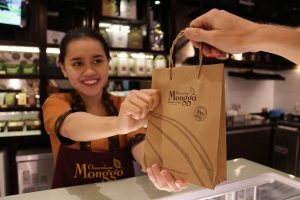 Come and visit us and try these unique treats, starring Monggo’s fine chocolate, in a cozy-Javanese environment.